UT PGE remains the No. 1 graduate program in petroleum engineering, according to the 2020 U.S. News & World Report rankings. 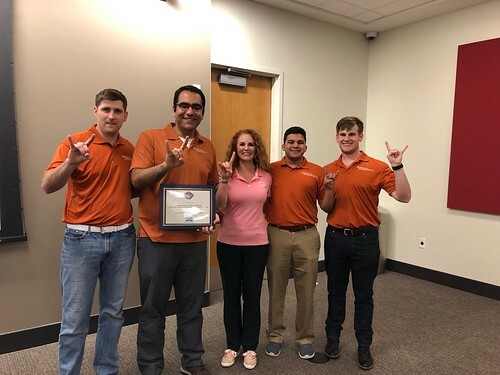 A little less than 30 years after Spindletop started gushing to ignite the Texas oil boom, a small, but significant petroleum engineering department was formed at UT Austin. Welcome to the Hildebrand Department of Petroleum and Geosystems Engineering at The University of Texas at Austin. Petroleum engineering is an exciting field of professionals dedicated to providing energy that powers a modern society. Our department is committed to educating the next generation of petroleum engineering leaders who will improve our quality of life. UT PGE is home to the No. 1 undergraduate and graduate petroleum engineering programs in the country. Our tradition of excellence stems from strong curriculum, world-class faculty educators, and an unmatched research program. The Center for Petroleum and Geosystems Engineering (CPGE) is the research center of the PGE department that produces innovative faculty and student research. The professors conduct $13 million annually in research, more than any other U.S. petroleum engineering program, through 12 major areas with almost 85 sponsors and partners.